It is Finale Celebration Time! Delve into the Festival of Neighbourhoods September E-Neighbour, the issue that announces our 23rd Annual Finale Celebration on October 16th! We are putting a highlight on the Awards that will recognize special efforts made by neighbours across Kitchener. When you register your activities, make sure to tell us if your activity had a worthwhile focus on inclusion, arts, safety, youth, heritage or social conditions in your neighbourhood. If you register before October 5th, you will be a part in a great celebration with community champions like yourself and have an exceptional chance to win one of the two capital investment grants this year! The LRT process should not divide a neighbourhood in the way that is planned in the Traynor-Vanier area of Kitchener. As more money is coming from the Federal Government to improve connectivity in the region, TriTag advocates agree that there is still time to resolve access issues to food, work and transit in the area. Social Development Centre strongly suggested that the neighbourhood should have been fully included in direct and meaningful ways three years ago in what was being planned for the final route section along the Hydro Corridor. One group of residents has sent a letter to the Regional Council and opened an online petition to ask for a pedestrian crossing on the 1km stretch. Access to information was voted a priority for our work once again through community and member input. Information Access Audits are a tool to help community members from all walks of life to give a user’s perspective on how well information services are meeting their needs. Volunteer with the project team and give your perspective on helpfulness of the call centres, the ease of use of the information systems and websites. 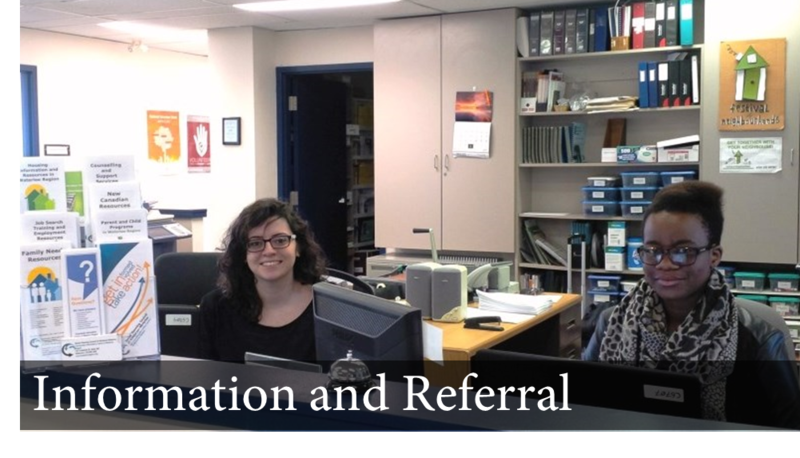 To find out how you can participate in the Information Access Audit, contact Jessica Amacher 519-579-3800 or jessica@waterlooregion.org. 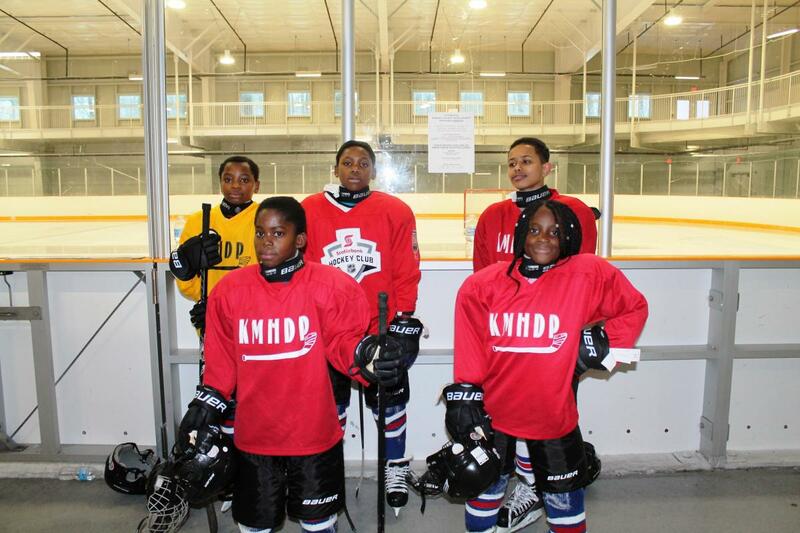 As a part of the Social Development Centre’s ongoing support of the Traynor-Vanier community, you may recall we developed a relationship through which nine boys and girls attended the Kitchener Minor Hockey Association “Give it a Try” hockey day . With equipment provided by Kitchener Minor Hockey Association (KHMA), and mentorship, guidance and support provided by players of the Kitchener Jr. Rangers Minor Midget AAA hockey team everyone had a great introduction to skating and hockey. If you want to be a part of the action planning regarding our future work directions to move forward on priorities for 2016/2017 join our action groups: Disabilities and Human Rights Group on second Wednesdays at 1:30 pm and Poverty Free KW on second Fridays at 10 am. For any questions call us or write at 519-579-3800 or spckw@waterlooregion.org. Take a look what your neighbours have been up to since last October. July E-Neighbour showcases some of the great get togethers in all four seasons: pumpkin parade, winter fest, egg hunt, Jane's Walk, forest planting, Neighours Day celebrations, Father's Day picnic, potlucks and more! What is your plan for the summer? Our last Early Bird registration deadline is July 15. Make sure to let us know about the past and upcoming gatherings with your neighbours. The people you meet on the street, they are only a few steps away from becoming your life long friends! We have confirmed our priorities for 2016-2017 and outlined some of the potential development options based on the conversations before and during our Annual General Meeting. Review the presentation and make sure to let us know what you think.